THE THING ABOUT NEW YORK. – Hello? I Forgot My Mantra. THE THING ABOUT NEW YORK. Published on May 8, 2012 by i forgot my mantra. Running simple errands is like entering a warzone. One is constantly dodging slow-walkers, cab drivers with death wishes, little onslaughts of children on scooters. It can really raise the ol’ blood pressure. Especially if you’re just trying to buy shampoo and a bridal shower gift. Before you realize it, you’re grinding your teeth as you cross the multi-lanes of Broadway and glaring. 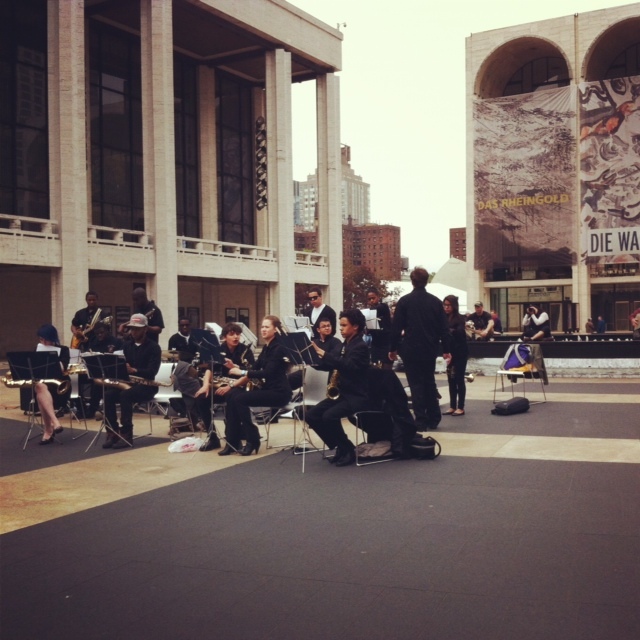 But then, occasionally, New York throws you a bone and you pass a high school jazz band playing in front of Lincoln Center and the music and the plaza (and maybe the memories of playing at Crestwood Plaza) just kind of filter the scowl off your face. 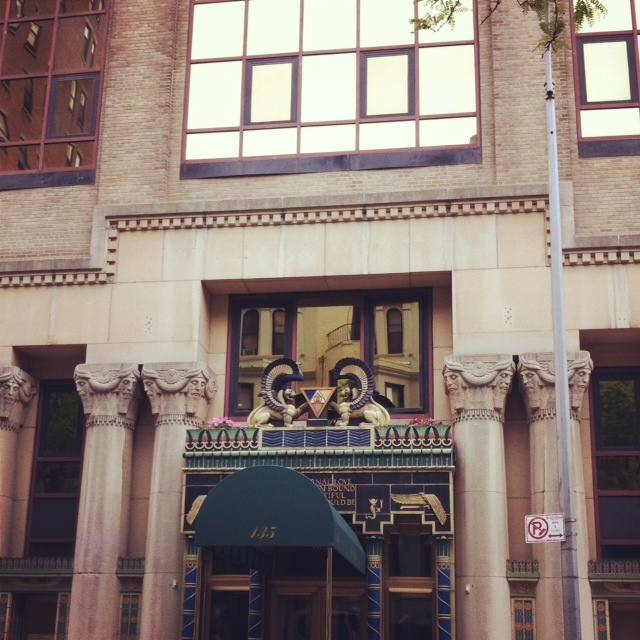 And then a second treat in the form of a building that looks straight off of another continent. Seriously, this picture does not do justice. Categories I'm at home now. Basking in my solitude. Previous I WOULD JUST LIKE TO SAY. Next BECAUSE MY LAST POST WAS KIND OF CRANKY.